You’ve finally decided on a college major, which will dictate your path through the next few years of college. Sure, you’ll take a general education course here and there, but the majority of your blood, sweat, and tears will be devoted to the subject of your choice. At this point, you may feel like college is going to last forever. It’s difficult to imagine life outside of classes, football games, and on-campus celebrations. Before you know it, though, you’ll be entering the workforce, and you’ll need to have a solid career plan in mind. Some college majors lend themselves more obviously to careers than others, including elementary education, accounting, criminal justice, and nursing. What if you majored in sociology, philosophy, or English writing, though? There’s a misconception that college majors such as these only prepare one for a career teaching the subject they studied in college; however, if you use your imagination and do your research, you’ll find that there are many other options available to you. 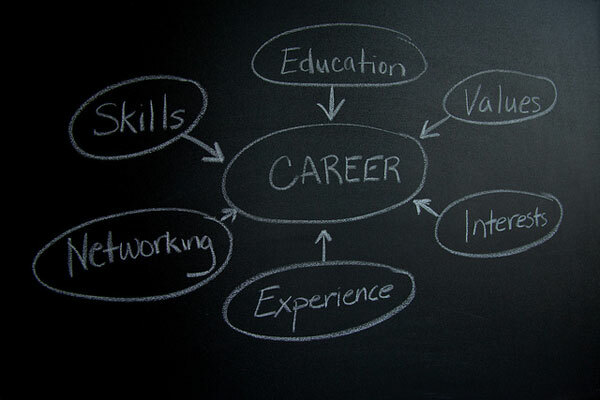 There are many careers out there that don’t require a specific degree in particular. At the end of the day, having the skills needed to successfully perform the job is more important than anything else. Sociology is the study of human social behavior, especially the study of origins, organization, institutions, and development of human society. This major lends itself well to a wide range of careers, including foster care worker, mental health worker, aging specialist, advertising assistant, day care worker, and public relations specialist. Studying how individuals function in society provided you with a deeper understanding of how society functions. Your knowledge will prove valuable for a wide range of occupations. If you have studied writing, grammar, or even English literature, you’ve developed a valuable skill that many employers will find highly desirable: the ability to communicate effectively through writing. You might consider becoming a media planner, marketing manager, copywriter, editorial assistant, legal assistant, or a personnel manager. Art history is the academic discipline that studies the development of painting and sculpture. You may love to paint, draw, or sculpt, but few people are lucky enough to make an immediate career out of their talent. You may consider occupations such as antique dealer, corporate curator, art advisor, art investor, curatorial consultant, or arts organization consultant. Working in the field will help to connect you with those who can help you gain exposure for your own work. At first glance, it may seem that a major in Spanish, French, German, or other foreign language will only prepare you to teach others how to speak it, but in today’s global economy, this is no longer the case. The ability to speak another language can set you up for an international career, with exciting option such as intelligence researcher, linguist, foreign services officer, international trade economist, FBI agent, or foreign diplomat. Fluency in a foreign language could be your ticket to explore the world. Philosophy is the rational investigation of truths and principles of being, knowledge, or conduct. Although at first glance it may seem as if there isn’t a viable way for a philosophy major to contribute to society, philosophy majors have been known to pursue careers such as lawyer, systems analyst, hospital administrator, psychologist, financial consultant, and salvation army worker. Of course, all of the majors illustrated above lend themselves well to teaching; just know that this is far from your only option. The bottom line is that you should pursue what you love, but also think about how that may transfer to a career when you have finished college. You may be surprised where your skills will be in demand. You’re limited only by your own imagination, your drive, and your research in the field of your choice. What Can You Do With an International Relations Major?